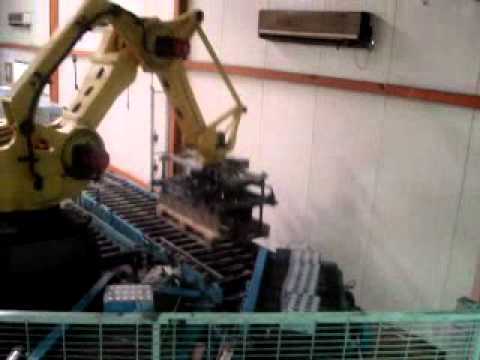 Year 2003. 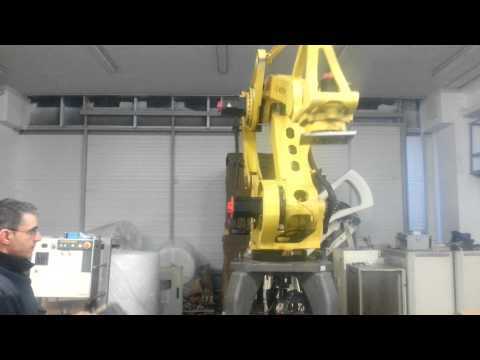 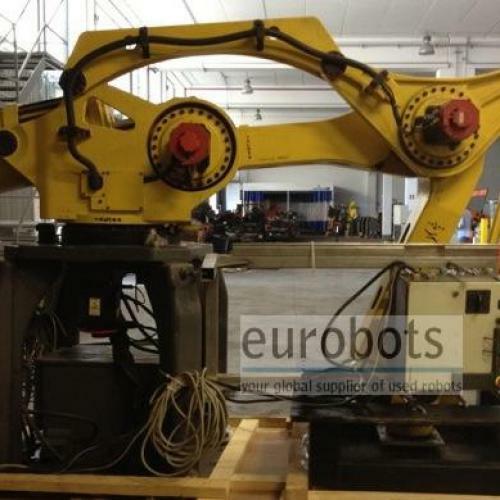 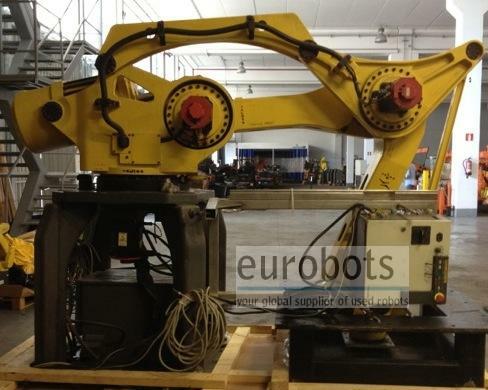 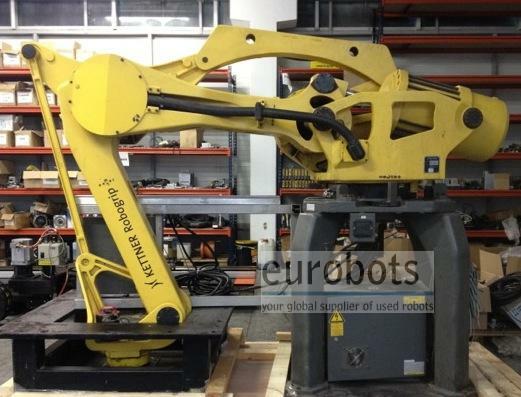 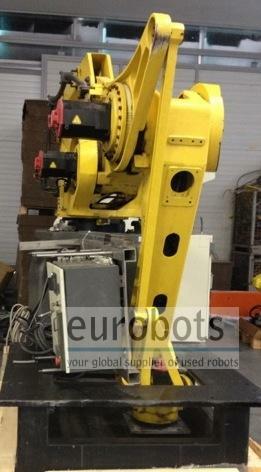 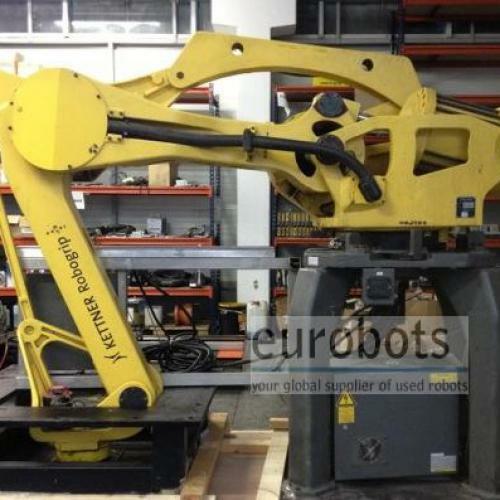 Heavy payload 4 axis palletizing robot. 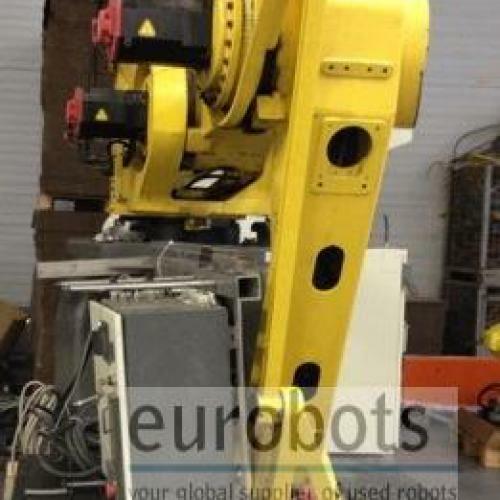 The Fanuc M-410iB features an R-J3iB controller integrated into the base to save space and ease installation. 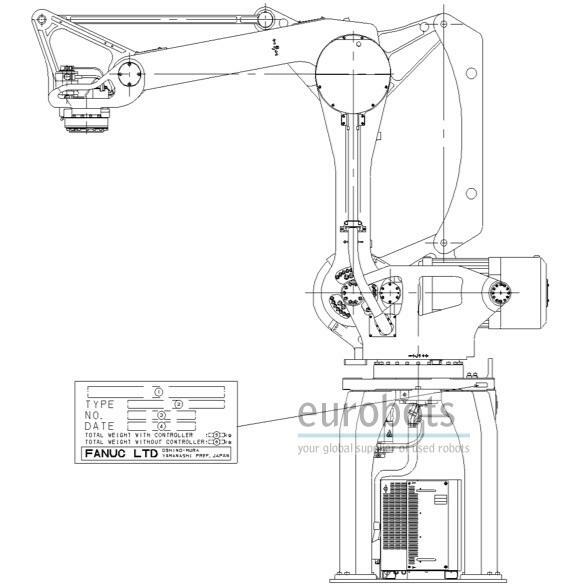 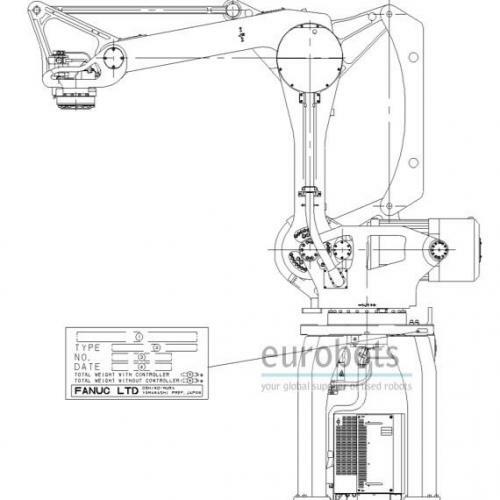 Integration is further simplified through the use of dedicated pneumatic and electrical connections on the wrist for end-of-arm tooling. 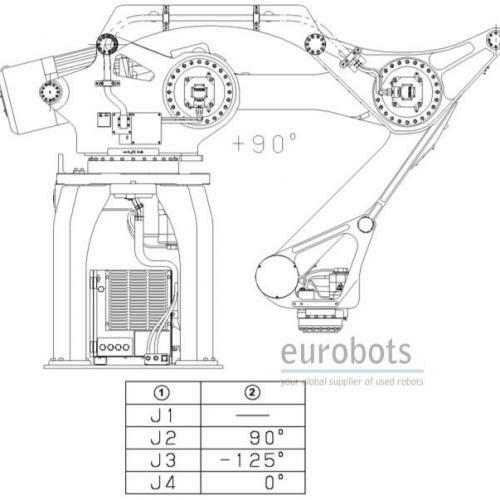 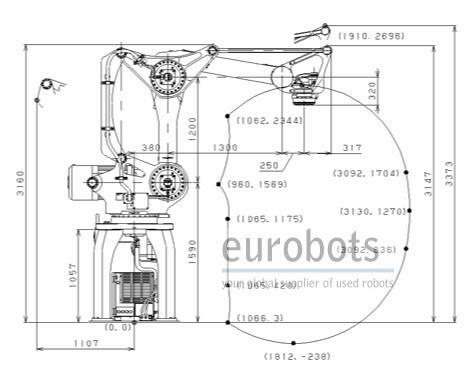 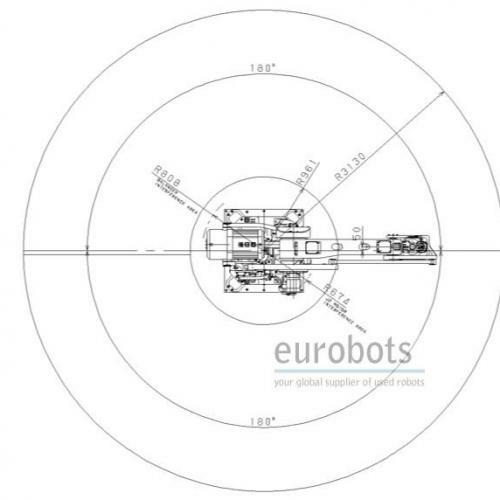 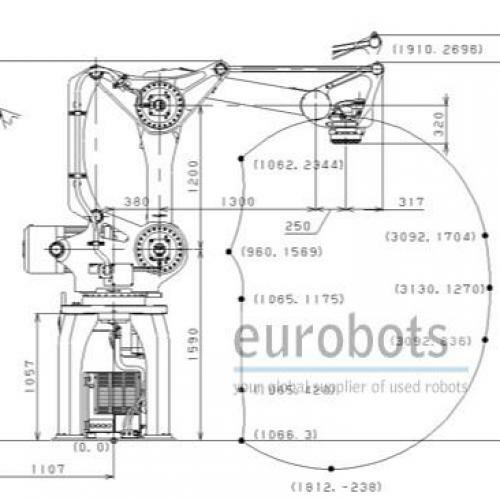 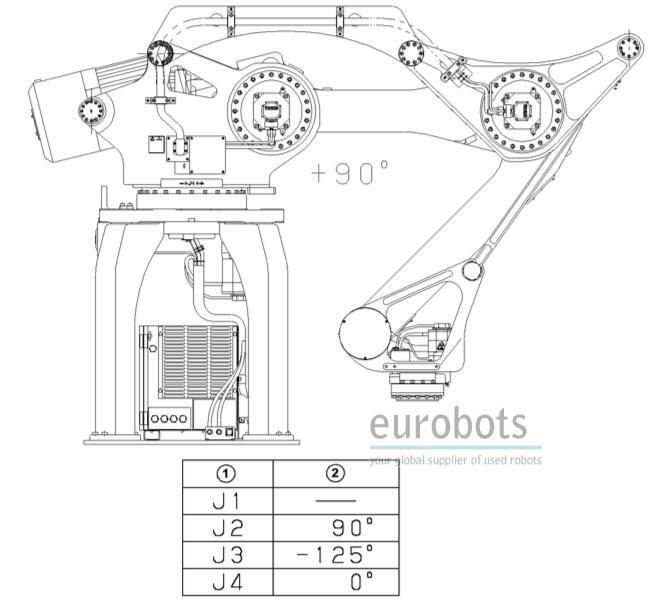 This heavy-duty robot was designed for palletizing and packaging applications.